What strain do I take for my medical condition? What intake method is best for my strain and condition? So many questions ... and so many confliciting, confusing, and sometimes downright incorrect answers can be found online and given as advice in dispensaries and clinics. We want to set the record straight and give you the facts based on the latest medical research. Our answers come to you from highly experienced medical clinicians who prescribe and treat patients with medical cannabis for a variety of medical conditions. Select questions wll be answered directly by email within one week. we can't guarantee we will be able to answer every question, but we promise to do our best. CannaBites are bite-sized, easily digested nuggets of information to guide you on your path to effectively using clinical cannabis. Different strains for different pains. What's the best strain for insomnia? 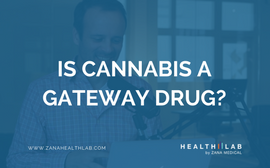 Fact or fiction: Is cannabis a "gateway drug?" 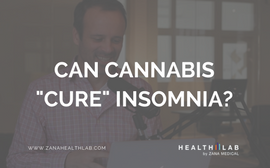 Can cannabis actually "cure" insomnia? 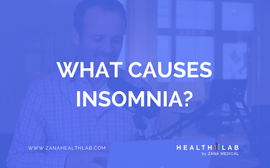 What are the root causes of insomnia?